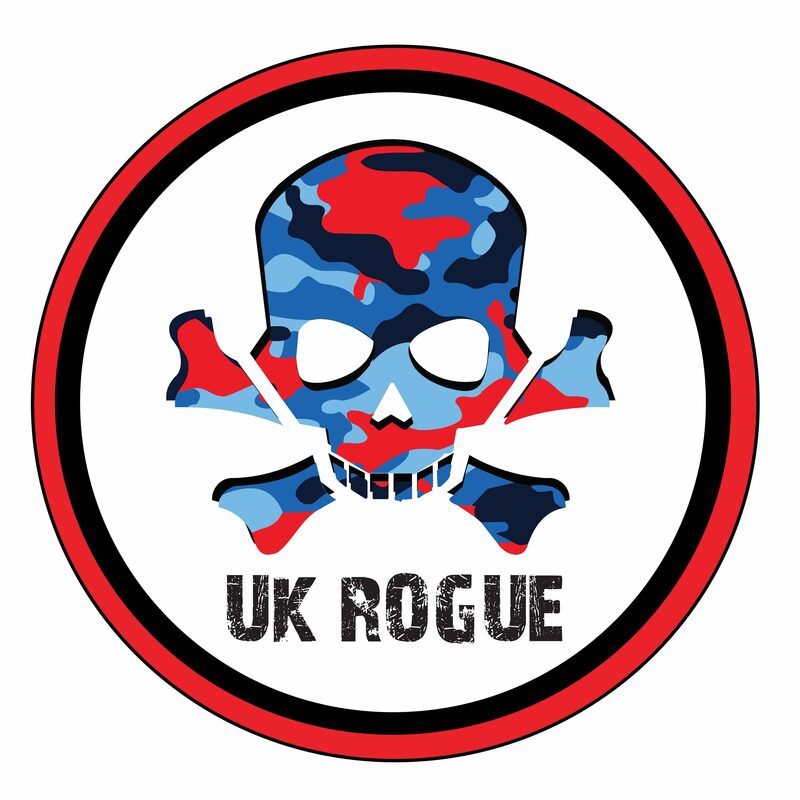 Jan 15, 2019 Jan 15, 2019 UK RogueLeave a Comment on A little bit about us.. So that’s not two or more people constantly ridiculing each other, making light of each others hardships and taking every opportunity to expose each others failings in a sarcastic and often outwardly bouyant manner in front of strangers or their respective families. See you in the mud you crazy people!!! Marvel my friends at the concentration on the face of the (suspect|athlete|unfit IT guy). I travel a fair bit for work so weekends are precious and they are either taken up making sure we get family time or running around in fields covered in mud and animal excreta. I did my 1st Tough Mudder in May of 2012. I got my TM tattoo the next day for a laugh and thought that was it, been there got the t-shirt/headband, don’t fancy electric eel or EST again the TM box was ticked, move on to the next stupid thing. It was 2014 and a few pals said “have you heard of this Tough Mudder thing”? I said “yep, been there done that” I’m up for another laugh. After getting the permission slip signed in triplicate from the wife, off I went with two hours sleep still stinking of whisky and the most stinking hangover. When I say hangover I mean I was still drunk, so it was a good job I was in the back of the car rethinking my life choices. But thats another story! I think after that I knew I really enjoyed OCR, but it wasn’t until 2015 that Tom and I started going to all the UK TMs, running both days in most cases. Fast forward to 2019, 51 Tough Mudders completed including, 2x WTM, 2x ETM numerous TM Halfs, Spartan Trifecta weekend with a few Nuclears and an Eliminator Race in there and I think its safe to say I’m hooked on running in the mud, but not Mud Mile, you can take mud mile and stick it somewhere, oh and Lumberjacked, Lumberjacked can foxtrot oscar along with Devil’s Beard. I’m yet to run 100k so I need to get an Ultra trail done this year. Hi guys, I’m the other Kris, with a K!! I’m married to Pablo and you’ll usually find me at the back of the pack, only difference between Jess and I, I’m the one being shouted at by my lovely husband “Hurry the f-up, you’re messing up my Garmin time”! I’m a full-time mummy to my sweet boy – Teddy and fur mumma to our Donny boy. When I’m not on mummy duties, I’m usually running somewhere and /or in and out of mud following the rest of the team all over the U.K. When Teddy was born, I gained 2 stones and I wanted to restart my fitness journey. With the goal, get my 10x headband. I already had completed my first Tough Mudder when I was 9 weeks pregnant. So I only needed 9 more to add to the tally. With the support of my amazing friends and family, Pablo and I travelled all over the U.K., I took swimming lessons and ran whenever I could to grow my confidence in getting through the Tough Mudder season. Fast forward 2 years and I’m on the path to get my 50x headband by the end of the season, currently on 38!! I’ve run a marathon, completed my first Spartan Trifecta weekend, ran 2 Worlds Toughest Mudder and the same number for Europe’s Toughest Mudder. I’ve achieved things I never thought I would be able to do and pushed myself to achieve what I thought was unattainable. I hope my son would be proud to call me his mummy!! Goooood Moooooooooorning Vietnam……………….Well it is neither morning or from Vietnam that I write this but who doesn’t love a catchy if not cliché introduction. So I am Tom, lets dive into a bit about me. Monday to Friday I work in IT Sales for a large security vendor sitting behind a computer, making phone calls or travelling across London and the rest of the UK meeting customers who may want to purchase what I “peddle”. At the weekend I become a WARRIOR…………….only joking it can be a mixed bag for me I am not as consistent as the other guys in the group for training. I can be scaling the country visiting friends or (Jess’s) family, organising & cleaning my flat or can do very little at all before I consider “training”. I best train by incorporating it into my day for example running or cycling to work, I really don’t have the drive or desire to just run with no end game or destination it just doesn’t do it for me. That kind of leads into my Yo-yo comment earlier, I can be really good or really bad, really into something or just not and although I appreciate this is most people at some point I think I can take it to the extreme. I can be fat or really thin going from 105kg to 69kg in a matter of months and back again before the year is out, do a 43min 10k to doing over an hour again in the same year. Although as I write this I am not yet into the running or fitness mindset that I need to be to succeed I hope if I continue to do this I can work towards a middle ground that will make me happier going forward. If you’ve seen the team running at various muddy events, I’m the one at the back slowing everyone down, bright red and heavy breathing. Or at the finish line, hobbling or in-pained making the most of the “free” snacks. I’m not a natural runner, or fitness person in general but my journey began in late 2016 when I was sat in Venice airport after a week of eating my body weight in carbs and I wanted a challenge. So naturally, I signed up for Brighton Marathon. Having never really trained for anything I had to do something to prevent me failing miserably. Now, its 2019, I completed Brighton Marathon 2017, 1 x WTM finisher (2017), 2 x ETM Finisher (2017 & 2018) and finished the 2018 TM season completing disappointingly with an injury and missing out on my 25 headband. Since then, I’ve been a bit “meh” to say the least. No real drive or motivation. Now its 2019, I’m hoping I will get my arse into gear and rather “New year, new me” it will be a “New year, 2017-2018 me”. Outside of running, I spend 90% of my time working as a Technology Risk Consultant but my real passion is anything creative, making/creating things from art work, furniture to interior design. So, this is the bit where I write something interesting about myself.. This isn’t going to be easy for you or me but if you hold out, we’ll get through this together as quick and pain free as possible. In my ‘normal’ life I’m a HLTA at a primary school, shaping young minds and inspiring the future generation, at least that’s what I tell myself anyway. I’m also an amateur photographer in what spare time I do have in between running and “training” which has always been a hobby but recently I’ve tried to make the most of it on Instagram and what not. I’m what you call a ‘late comer’ to the team, I was first introduced to the concept of Tough Mudder by Tom when he used it as a way for four university mates to catch up whilst running the Half in Yorkshire in 2016. I decided as soon as I had dragged myself across the finish line that I HAD to complete a full the following year so when the schedule was released I signed up and got a few newbies to do it with me, upon completing that we signed up for North West that night so by the end of 2017 I was classified as a ‘Legionnaire’. In 2018 I went a bit mad, bought a season ticket and completed all 19 Tough Mudder event days with the Manchester 5K thrown in for good measure. So I now sit on 21 full events completed and will be getting that X25 headband this coming season. There is no way in hell I’d be able to have completed half the runs with out Tom, Pabs, Kris and Jess who where there for sarcastic comments and abuse when needed. Knowing that these guys are next to, it more usually just in front of me, is all the motivation I need, so much so that I’m running in ETM this coming May and hopefully WTM in November.